So I was digging through my old archives of images to find some of my Big Green Egg shots – little did I know just how many shots of the Egg or the food from the Egg I had take over the years. I gathered up over 400 images before I just gave up on it. But I wanted to share with you images from what may possibly be the first batch of ribs I ever cooked on the Egg (Egg #1), which I got back in 2007. Man, did I mess these ribs up. Granted, they were probably still pretty tasty, but they were all sorts of messed up. The first thing I messed up on was not removing the membrane from the ribs. 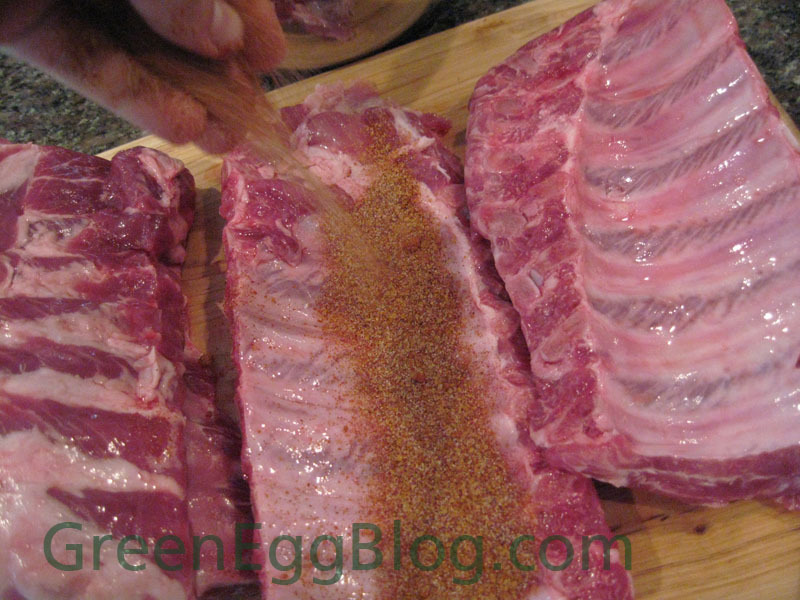 Check out Amazing Ribs for a great guide on how to remove the membrane. Always, always remove the membrane. 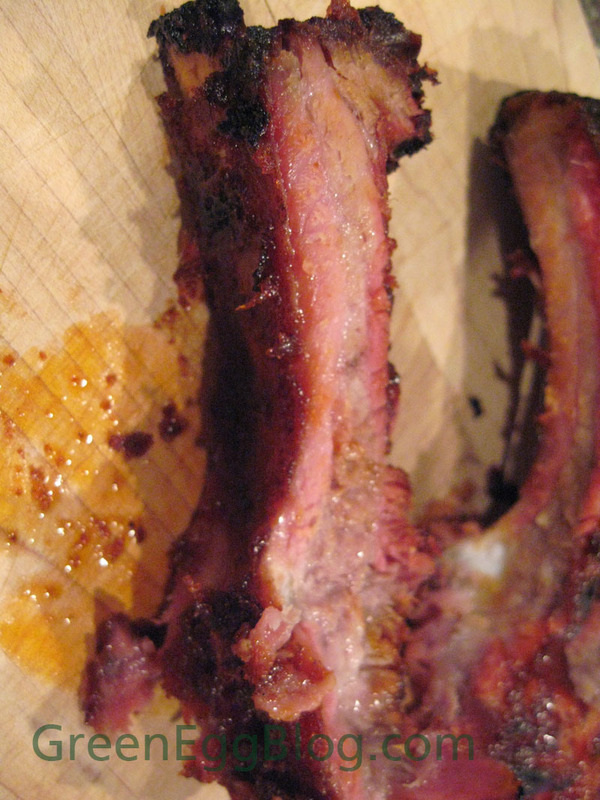 Otherwise your ribs won’t cook as well and will be tough to chew. The second thing I messed up on was the rub. 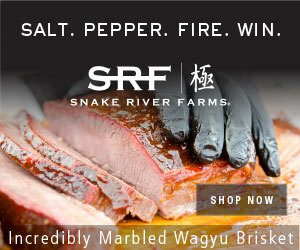 I must have gone through 20+ rib cooks before I found my perfect formula – and I can tell you it doesn’t involve rub. My ribs are now pure – no rub, mustard or even sauce. They don’t need anything when they are cooked on the Big Green Egg. 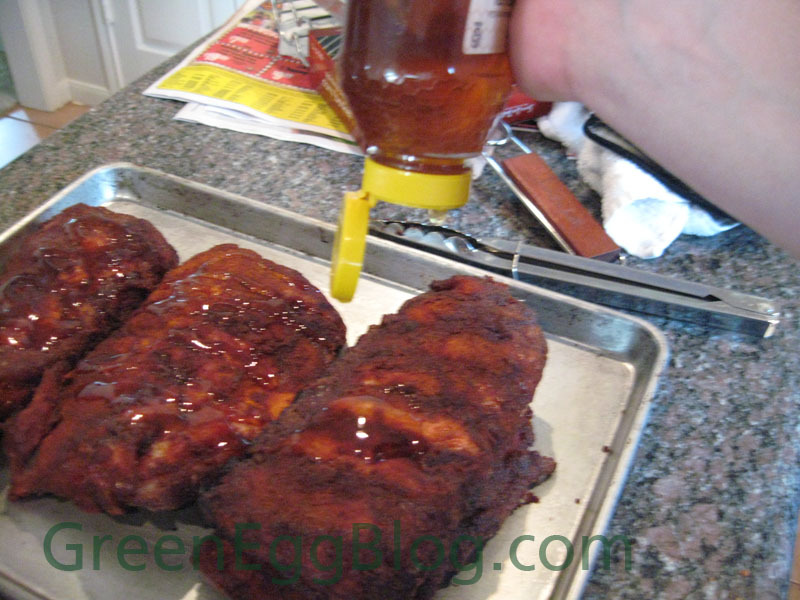 I also experimented with mustard and rub – and that was no bueno either. Pictures of that to come too. I didn’t find any pictures of the actual cooking, but you can bet that I messed that up as well. But here’s the kicker: I apparently thought that adding honey to the ribs would be a good idea. What the F was I thinking? I so screwed up those ribs. But even with all my fluff that I tried to add, the Big Green Egg still came through and cooked them perfectly. Do you have a epic BGE fail to share? If so, let me know below – would love to hear how others have jacked up cooking on the Big Green Egg. More of my stories to come as I dig through the archives – there was a lot of testing and learning going on! Just got our big green smoker with no instructions.. Have smoked before wit a regular smoker especially turkeys. Nothing better. 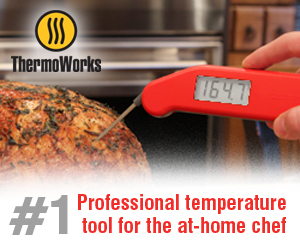 Do you put water in the drip pan, like in a regular smoker? How do you add the chips with the insert in the way?